Great project. 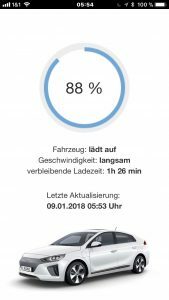 I will receive my new Ioniq Plugin in a month and I would like to do the same here (in Italy) to check Soc while car is in my garage. Currently I have installed a Raspberry in my garage that is connected to my domoticz home system so that I can start, stop and schedule the charge directly from home or remotely from my iphone (using domoticz hub to control a Z Wave heavy duty switch that controls power to my wallbox). The info that I am missing is SoC!!!! 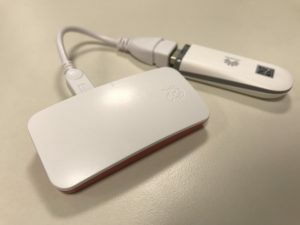 I have a WIFI OBD dongle and I would like to have my raspberry to connect to it (they all use standard ports and addresses) and use a script to read SoC and publish it to my domoticz system…. Do you think that your script is working also with a WIFI dongle? I do not think to charge my car when I am outside, but if I can’t do it I can make the same as you and put a raspberry also inside the car…. Thank you and very good job! Is there a solution to get extra functions in the web front? as an addition it would be very useful if you can preheat for example. No its not possible. The canbus obly allows reading access to the vehicle.